Brussels: European officials fully expect British Prime Minister Theresa May's government to ask for a delay to Brexit, and admit they will probably reluctantly agree to one. 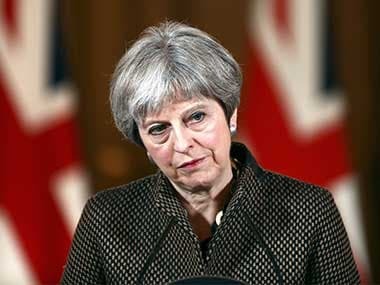 British MPs will vote Thursday on a government plan to hold a third ballot on May's deal and request a delayed departure, whatever the result. But how would such a postponement be triggered and for how long could London put off severing its four-decade-old ties with the European Union? Under current British and EU legislation, the United Kingdom will leave the European Union at 2300 GMT on 29 March, on the expiry of the so-called "Article 50" process. This two-year regime is provided for by the European Treaty to allow departing members time to negotiate the terms of their divorce — terms that British MPs now reject. Despite voting against the withdrawal agreement that May herself approved at a summit on 25 November, British lawmakers say they don't want a "no deal" Brexit. If they ask for a Brexit delay then the other 27 EU members, if they unanimously agree, could accord an extension to Article 50. 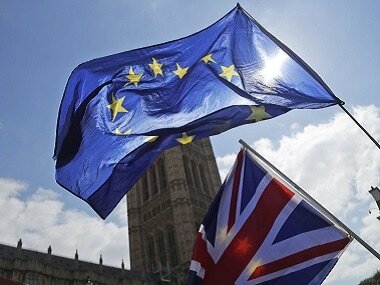 The British government on Wednesday proposed holding another vote on the Brexit deal before a European summit in Brussels on 21-22 March. 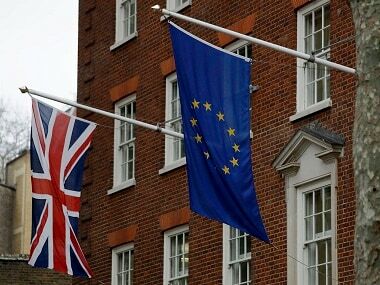 If the deal is approved by then, Britain would seek a short extension to before the end of June. However, if the deal is not approved, the government proposals say a longer delay may be required. Approval of any British request would not be automatic — even though EU and member state leaders insist they too want to avoid the political and economic disruption of a "no-deal" Brexit. If, and only if, May can explain how she would use the extension to secure a negotiated deal and demonstrates that it can win parliamentary backing, the members will likely agree. "London's chaos affects the whole European decision-making process," complained Manfred Weber, head of the conservative bloc in the European Parliament, on Wednesday. "We don't see any chance of prolongation without clarification," he said, noting that May's request would need unanimous assent at next week's European Council summit. "There'll be no extension without substance behind it. Not a single day of prolongation without clarification," he warned. This is likely to be the most difficult question. Europe does not want to be trapped in an endless cycle of short-term renewals, and officials have said there will be at most one extension, with a definite end date. AFP understands that a senior EU official has suggested in talks with EU ambassadors this week that Britain would need at least 12 months to resolve the crisis. 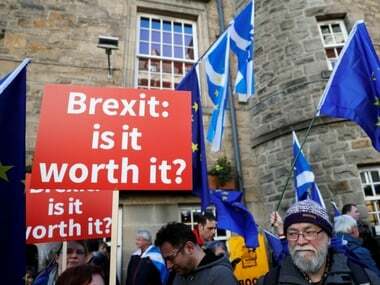 And veteran British lawmaker Kenneth Clarke told the BBC on Wednesday that "we've got to have a good long delay whilst parliament and the government decide what actually we're trying to negotiate for our longer-term arrangements". But that would create another problem: European Union voters go to the polls from 23 May to elect a new parliament and, if still a member, Britain would legally have to take part. For this reason, officials suggest it would be easier to agree to an extension that ends either before polling day or at least before the new parliament sits at the start of July. Could Britain even organise a vote? This would be a technical challenge for the European Union, which has already assigned Britain's 73 seats in Strasbourg to other countries' delegations and campaigning is underway. It would also be politically disruptive. Europe fears a British vote would return a large body of Brexit supporting MEPs determined to thwart Brussels at every turn. As leading eurosceptic Nigel Farage declared Wednesday, taunting his colleagues in the assembly: "You don't want me to come back here. "There is a simple solution and that is that the British request to extend is vetoed at that European summit," he said, referring to next week's gathering. Nevertheless, the UK Electoral Commission told AFP that the EU polls could — in extremis — be organised. "The prime minister has been clear that these elections will not take place, however legislation requiring these elections to go ahead has not yet been repealed," a spokesman said. "As part of our contingency planning, we are making certain preparations that will enable us to swiftly take the necessary action should circumstances change and these elections need to be held."